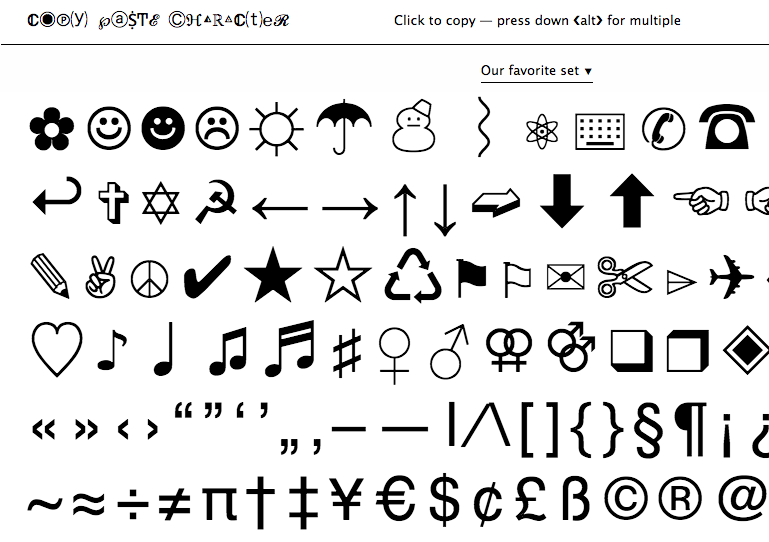 Need To Add A Fun Text Character To A Tweet, Email Or Web Page? | Brand On! Need To Add A Fun Text Character To A Tweet, Email Or Web Page? Copy Paste Character provides dozens of characters, and as the name suggests—you just copy and paste these wherever you like. Sign up for an account to create favorite sets of characters. Naturally, there is an iPhone app.